Since 2005, Varun has been guiding students brainstorm and craft their roadmap to the top Universities and B-Schools. His more than a decade of experience includes consulting high school students to MBA aspirants, setting up test prep and college admissions consulting businesses, conceptualizing and organizing educational events and creative writing. Varun has guided students from more than 50 different countries. Varun’s students have been admitted to many Ivy League and top colleges such as Columbia, Stanford, Harvard, University of Chicago, UC-Berkeley, Brown, Oxford, Cambridge, INSEAD, LBS, Cornell, Williams, IE-Spain, HKUST, University of Toronto and many more. 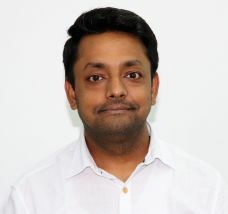 Varun has done MSc Knowledge Management from NTU Singapore. His own cosmopolitan background and interests in other cultures, together with in-depth knowledge of different career paths and professional disciplines, have made him an expert in handling international applicants who require assistance in brainstorming their own stories and charting their future. institutions in the US; Cambridge, Imperial, UCL in the UK; University of Toronto, UBC, McGill, and other institutions in Canada. He has done Master of Business Administration from UK. 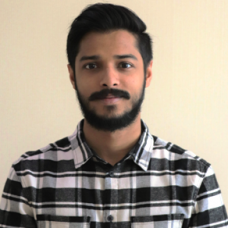 With a diverse profile and experience, and excellent command over the English language, Roshan finds it at ease to deal with international students, and portray their profile to the university in a professional manner. He has dedicated his career to help students take the right decision regarding the future. 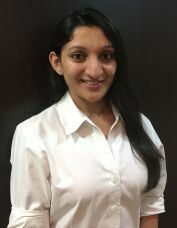 Prior to UAE, Deepti worked as an individual counselor and worked with various international schools in India as university guidance consultant and trainer. Her school students, looking for options varying from engineering to fashion design or medicine to hotel management, have been successfully admitted to various IVY leagues and other reputed universities such as California, Texas, Toronto, Purdue, Boston, Leeds, Bristol, LSE, SCAD, Canterbury and many more across the world. Deepti has been counseling students from all across the world over various internet platforms as well. As university counselor, she has visited many universities in India, UAE and Canada. She has been actively involved in meeting the university representatives from USA, UK, and New Zealand etc in order to find out the correct fit for an individual. Deepti is a Masters of Business Administration degree holder. Apart from counseling, she has worked with various test prep institutes as entrance test trainer for about seven years before moving to UAE. As a senior consultant, Nishant has been guiding students for top to mid ranked universities in the US, Canada, Australia, UK, and Europe for programs in Business, Engineering, Medicine, Arts, and Liberal Arts. His students have been accepted at the Ivy League Dartmouth University; Michigan Ann Arbor, Georgia Tech, UIUC, UCLA, UC Berkeley, Wisconsin Madison, NYU and other top institutions in the US; Cambridge, Imperial, UCL in the UK; University of Toronto, UBC, McGill, and other institutions in Canada. He is a MBA degree holder and has 6+ years in education industry with 4 years in International education. 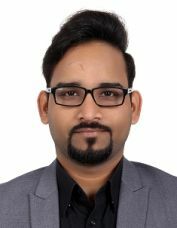 With a diverse profile and experience, and excellent command over the English language, Nishant finds it at ease to deal with international students, and portray their profile to the university in a professional manner. He has dedicated his career to help students take the right decision regarding the future. A Business & Economics graduate, Iunia has been involved in education for over 10 years, from the formal aspects of standardized testing and international education to the non-formal ones of soft skills development and holistic education. 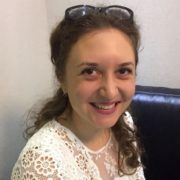 All of the above and more are skills she finds valuable to share when working with students who are International Educational aspirants, and she has had the privilege of working with thousands of students across four continents, from Singapore, China, India and Malaysia to Dubai, England, Romania, and Kenya. She finds great joy in helping her students not only achieve great results in their standardised tests, but also in understanding how to hone, integrate and utilise in their every day lives the skills acquired in the process of preparing for the respective tests. She sees education as a way, not a destination, and each hour spent in the classroom as an opportunity to grow as a person and a professional. When not working, Iunia loves to network and travel, as well as write. Her first book, “Through the world, towards me” was inspired from the years she spent living in or traveling to 45 countries across 4 continents, and saw the light of day in 2013. Its readers are demanding a sequel, and that might just happen sooner than later. Many students after their high school, go abroad for under-graduation. Out of all the options available, USA, Canada and UK are the most popular due to the availability of several courses with respect to Engineering, Science, Liberal arts, Business, Law and Medicine. Additionally, students get the chance to study at some of the best Universities and experience the best practices with respect to education, extracurricular activities, college projects, research, sports and respect to diversity which eventually increases the international job prospects and global mindset. Create common application and add Universities. OUAC application filling and adding Universities. Create UCAS and add Universities. Session starts in last week of Aug or 1st week of September. Preparation for admission should start 1 year prior to the intake year. Cost of education annually is anywhere around 50,000 – 65,000 USD. Course duration could be from 3 years to 4 years. Student can stay on campus or off campus. Educational Consultants in DIFC, JLT Dubai Sharjah & Abu Dhabi, UAE. Brighter Prep provides application assistance, essay writing and interview practice delivered by alumni from top global business schools and colleges.We are Global educational consultants based in Dubai Sharjah Abu Dhabi and Istanbul. In Admissions Consulting, a solid methodology has been built to maximise the potential of the candidates through discovery of their strengths and interests. Brighter Prep delivers consistently excellent results to highly diverse clients and is a leader in field. Brighter Prep offers business school admissions consultancy by graduates of top colleges, the program is designed to take the mystery out of the admissions process and enable you to make your best shot. Our highly successful GMAT & MBA Admissions Track Record speaks for itself with clients regularly admitted to the world’s top business schools from Dubai Sharjah & Abu Dhabi ( MBA Dubai or MBA Abu Dhabi ). Brighter Prep college admissions consulting program offers comprehensive services to simplify the application process and help students get into the colleges and universities of their choice. College Admissions Consulting services include making the right college selection, assisting in program/course selection, counseling on application preparation, Preparing and editing essays, counseling on reference letters, providing scholarship guidance etc. All services are offered through one-to-one sessions that are streamlined to suit the individual needs and preferences of our students. I recommend to all 10th 11th and 12th Grade students, to join Test Prep Courses and Application Guidence at Brighter Prep. I started my Journey 18 Months before my 12th Grade Exams.